Shankar-Jaikishan, Lalo Schifrin, Rolf Trostel, Rangefinder, Piero Umiliani and more. Seventh in the Chemical Tapes Chemist Mix Series. 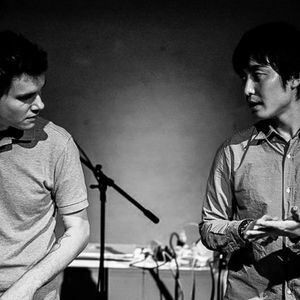 Celer (Will Long) & Hakobune (Takahiro Yorifuji) who&apos;s collaboration Vain Shapes And Intricate Parapets is forthcoming on Chemical Tapes meet again for the Chemist mix series. Each were tasked with creating a mix, and each plucked out a remarkably eclectic range of tracks. If you were expecting solely shimmering minimal ambience, think again.